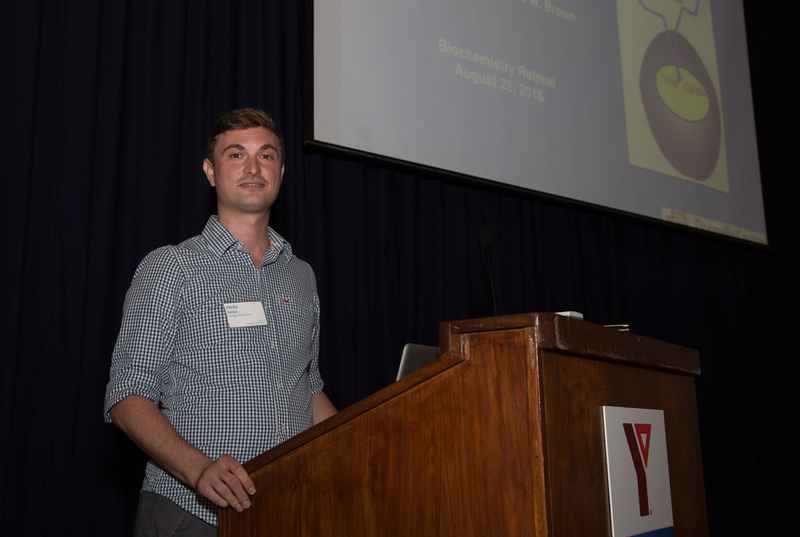 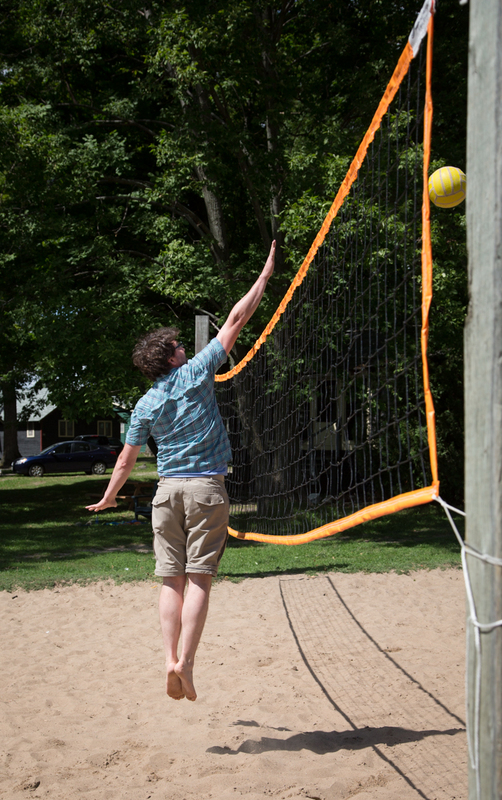 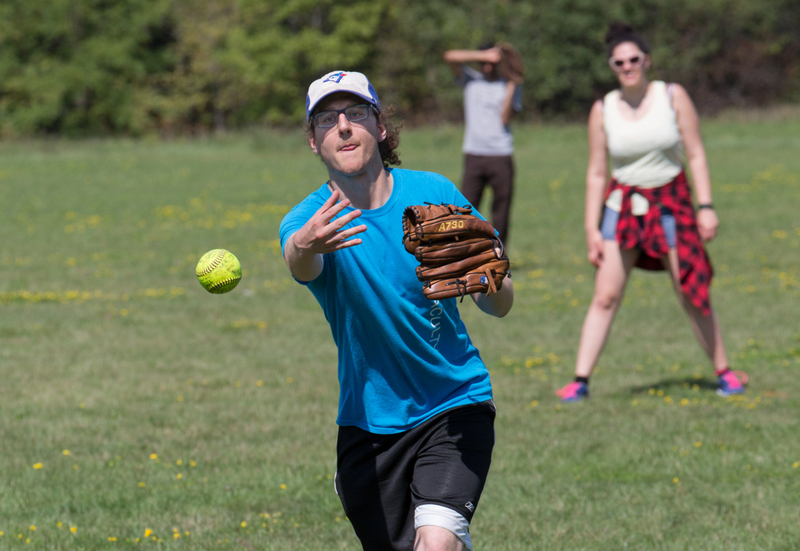 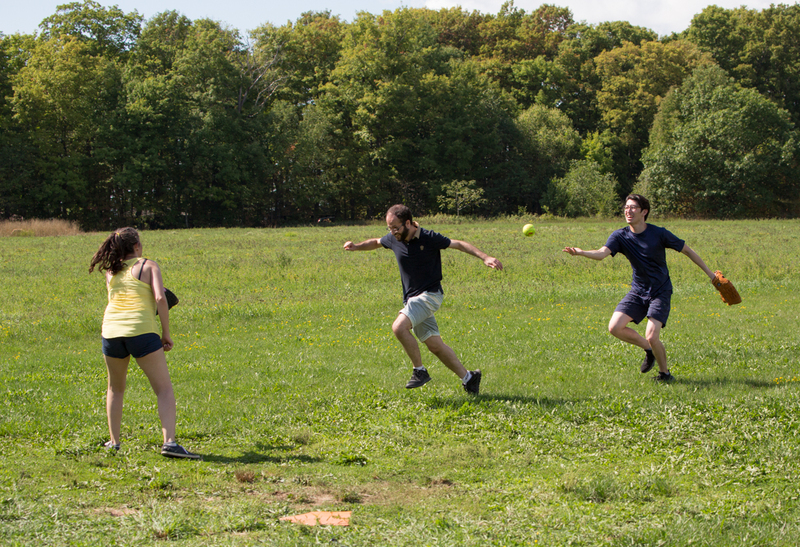 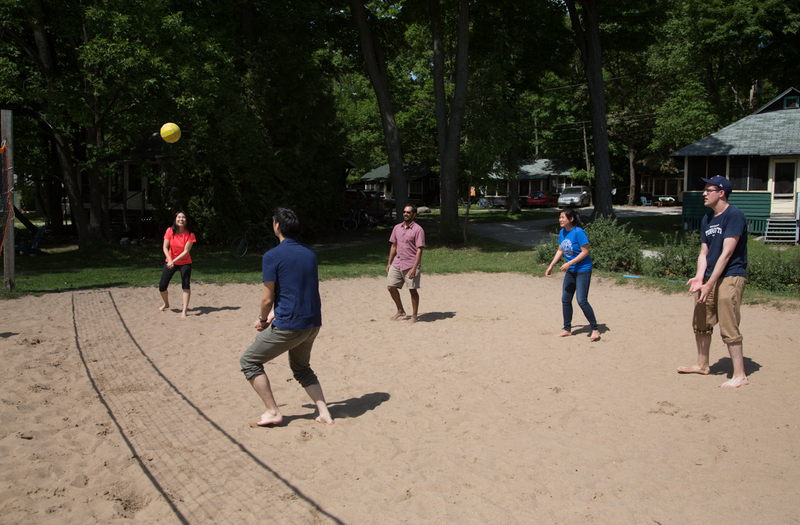 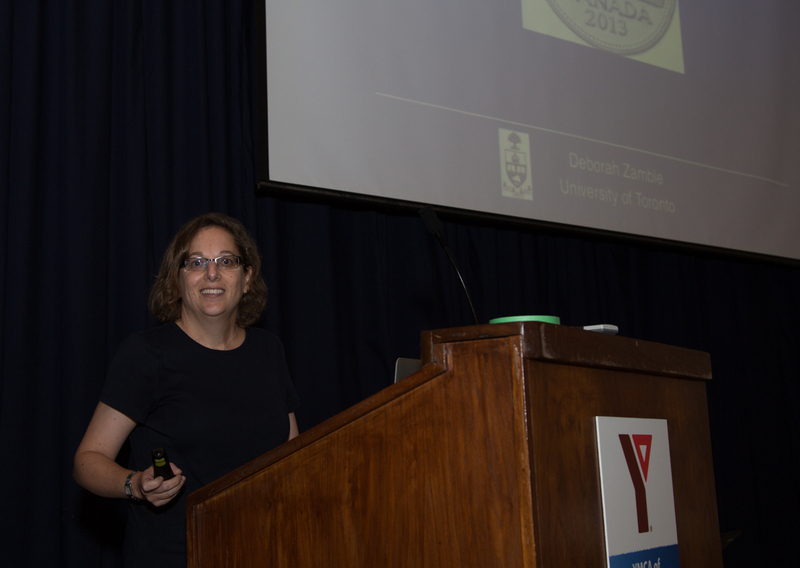 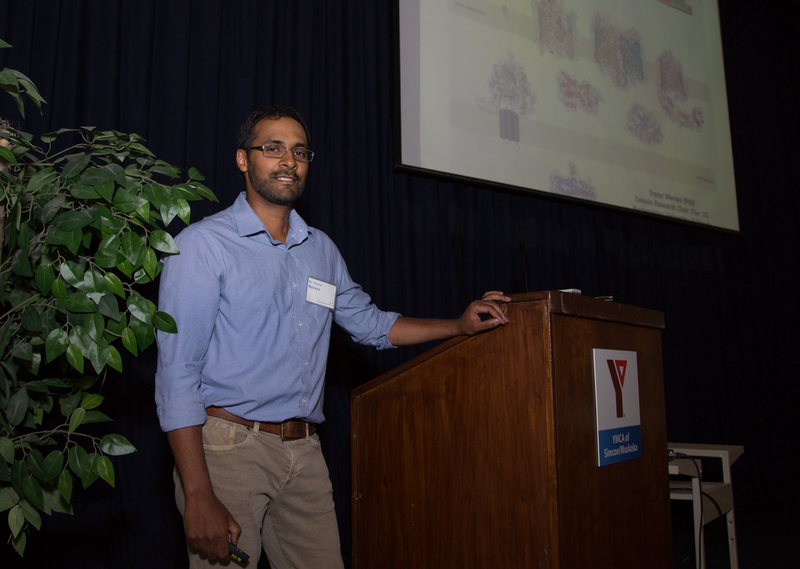 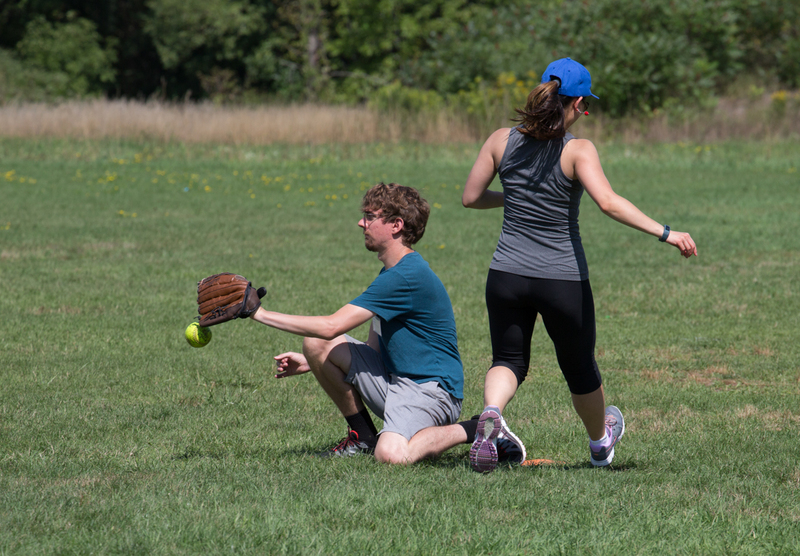 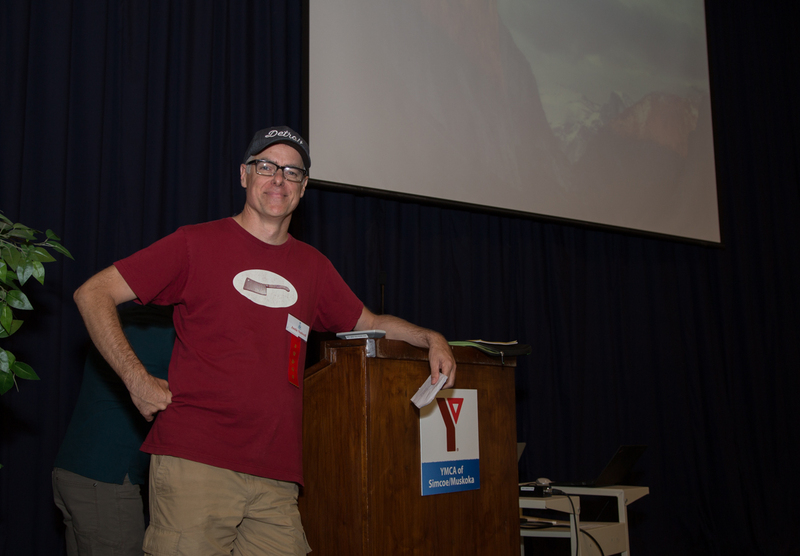 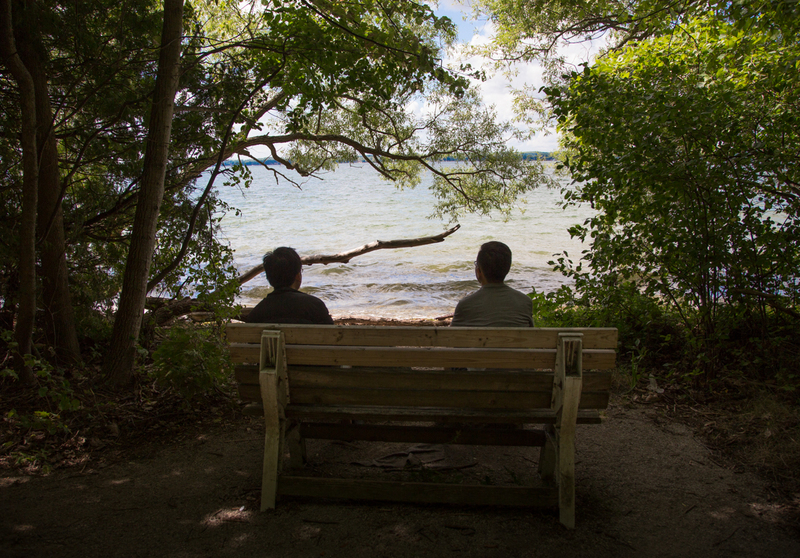 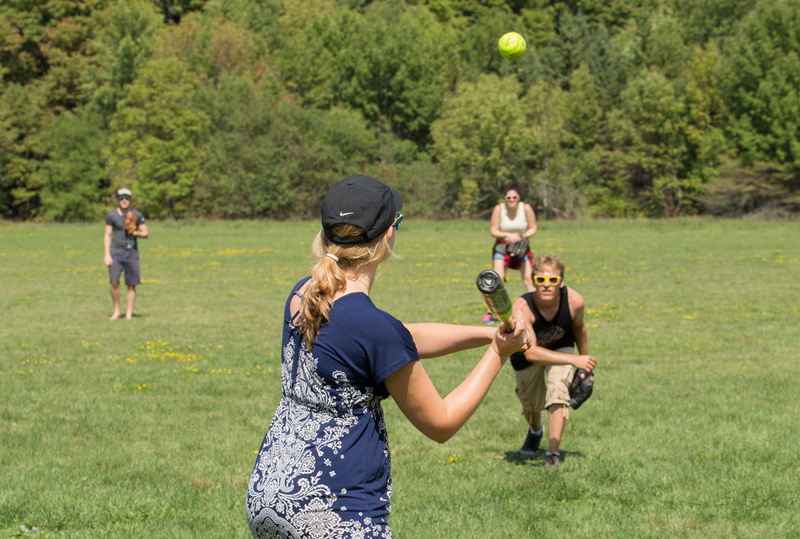 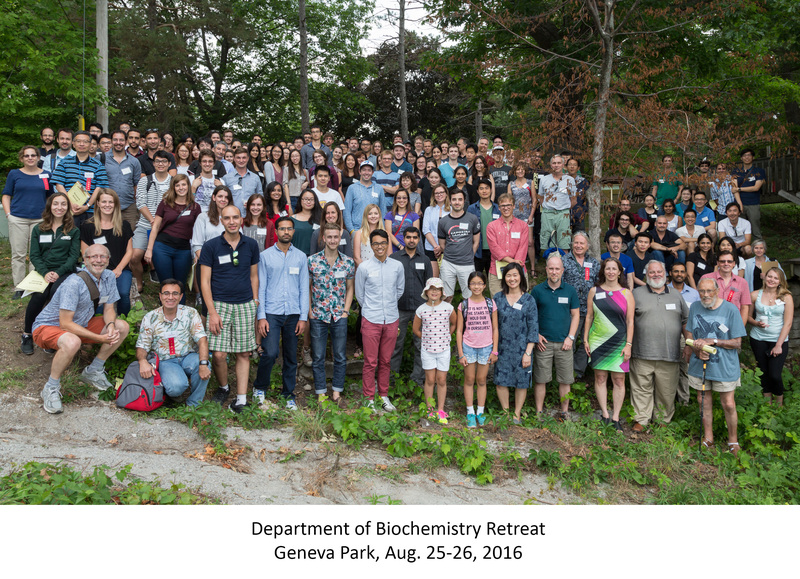 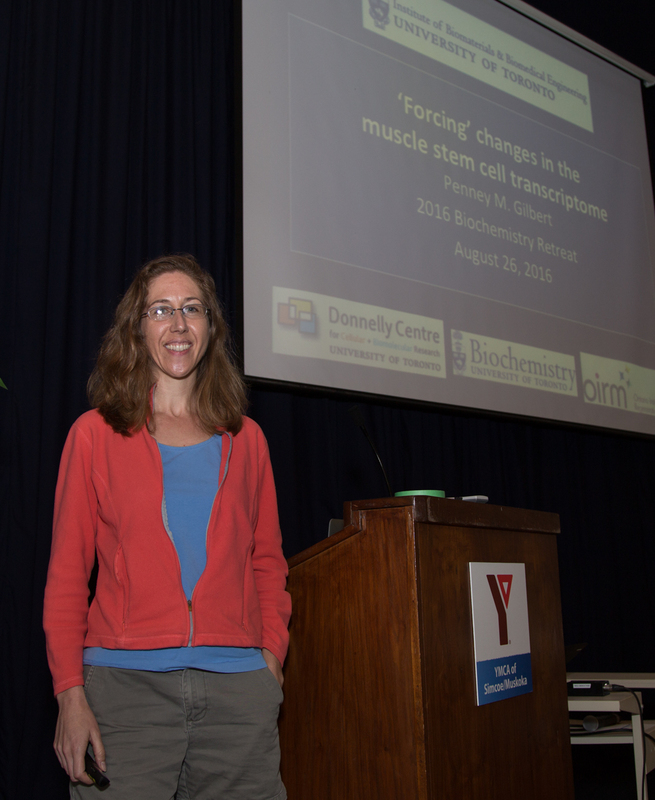 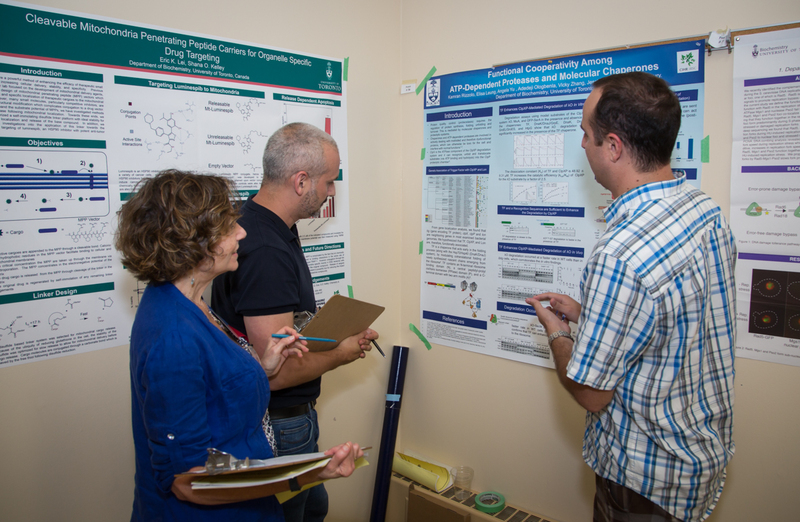 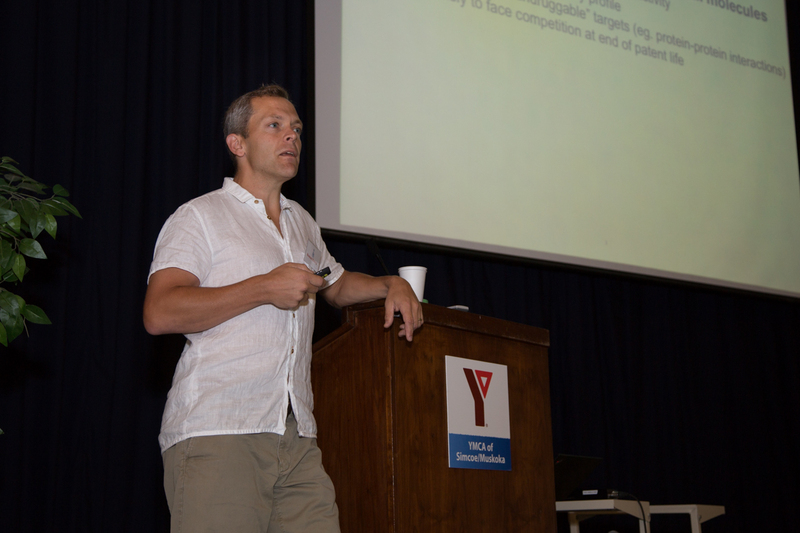 On August 25th and 26th, the Biochemistry Department held its first Retreat outside of Toronto at the Geneva Park Conference Centre near Orillia. 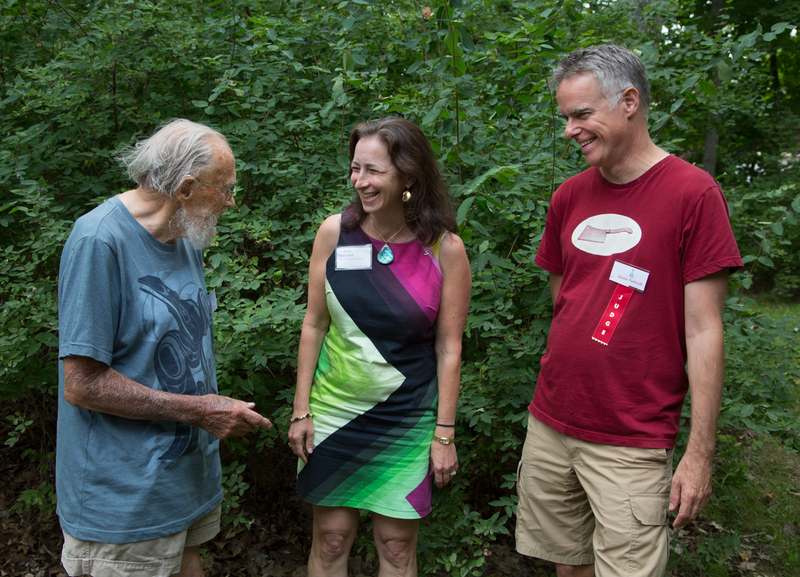 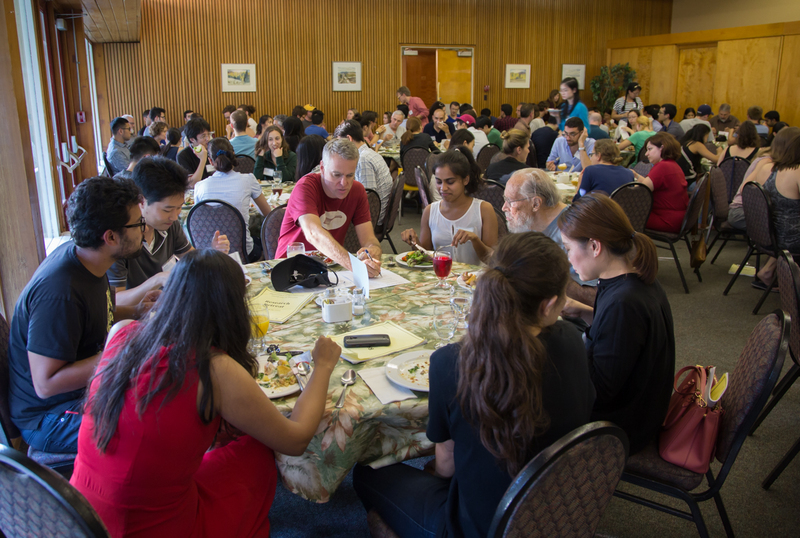 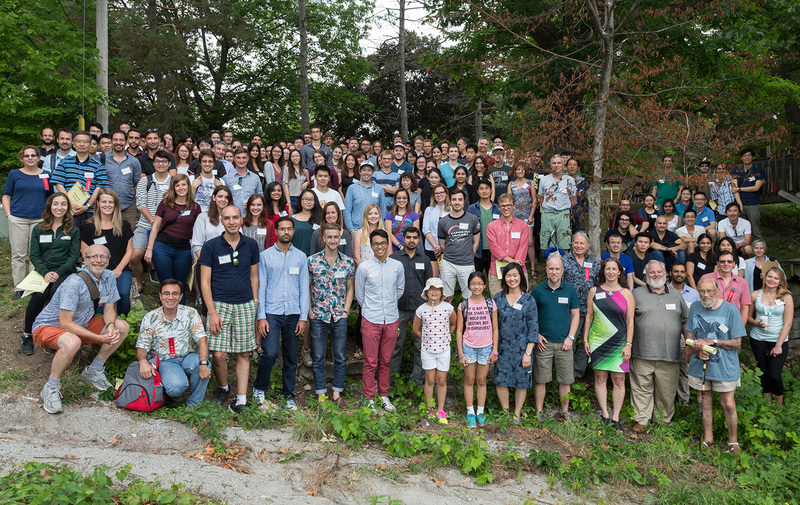 The turnout was terrific with 140 trainees, staff and Faculty gathering for two days to celebrate the science that we do and to enjoy each other’s company in a beautiful lakeside setting. 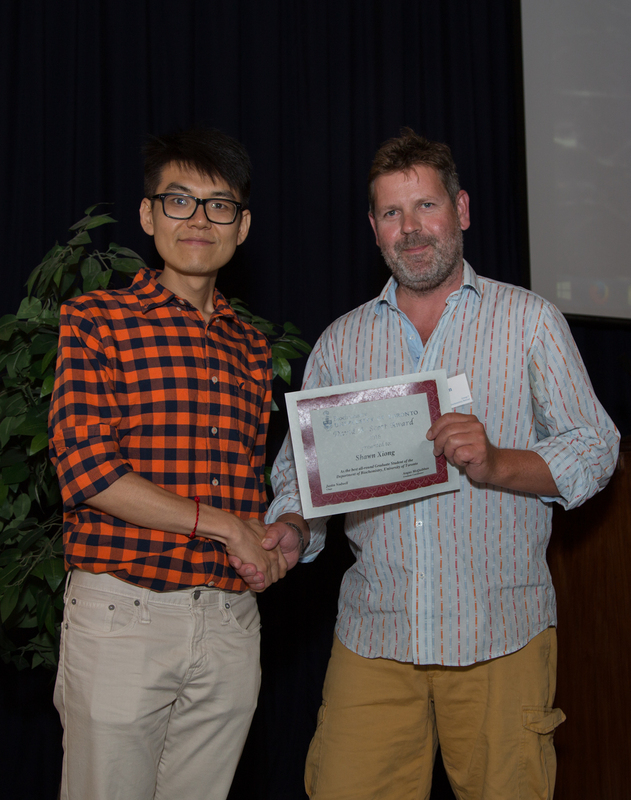 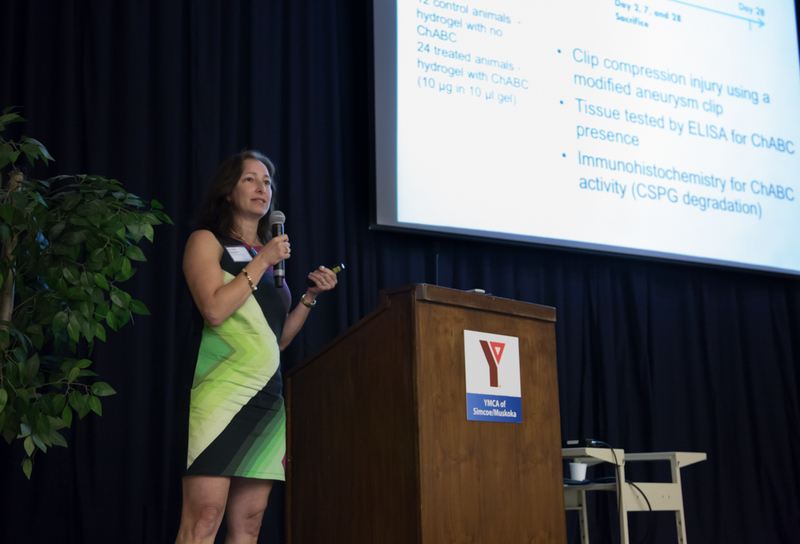 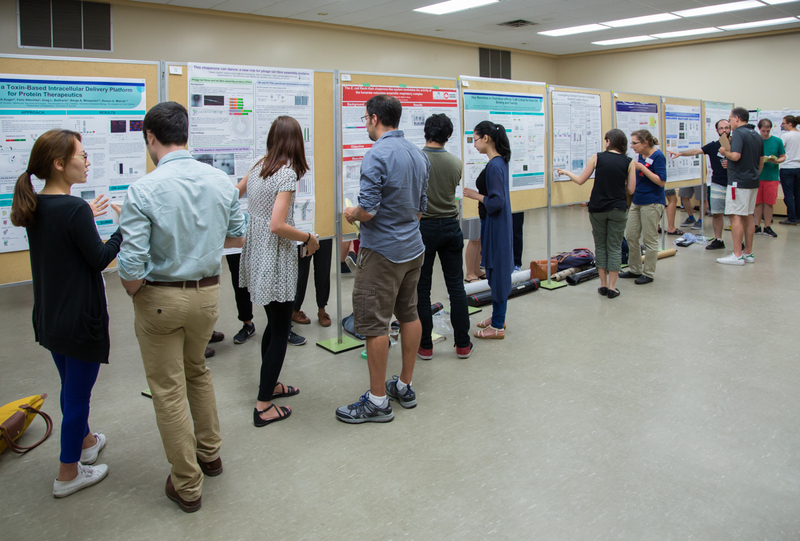 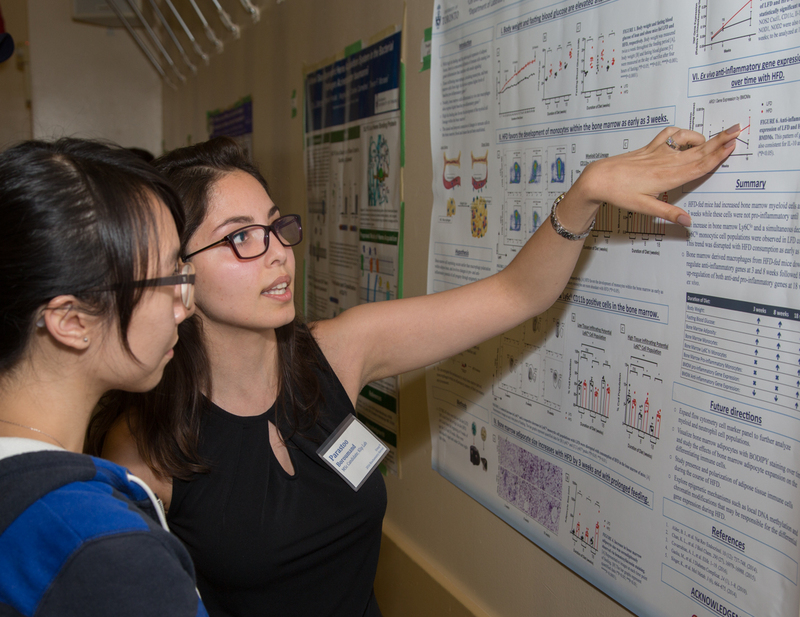 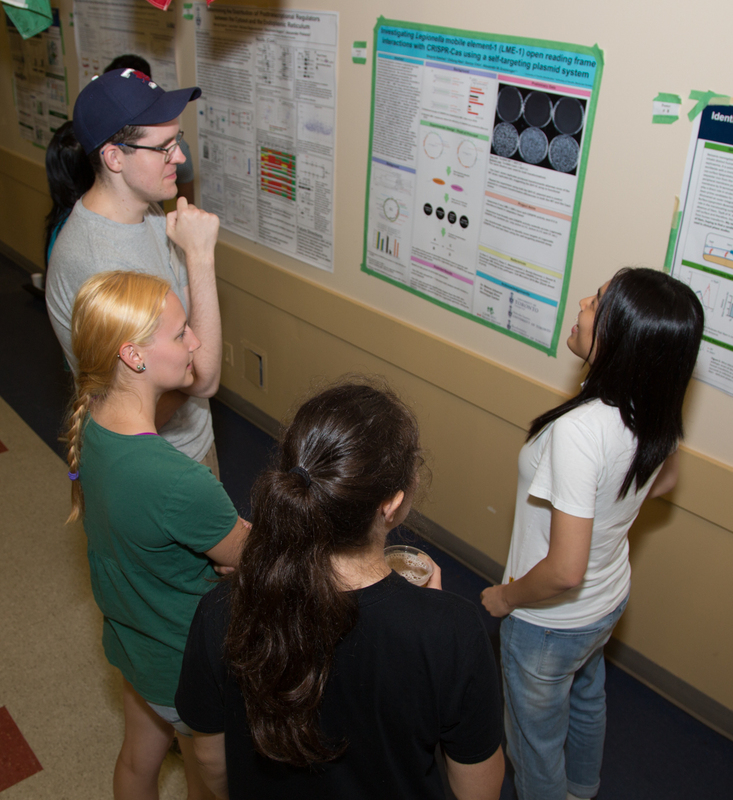 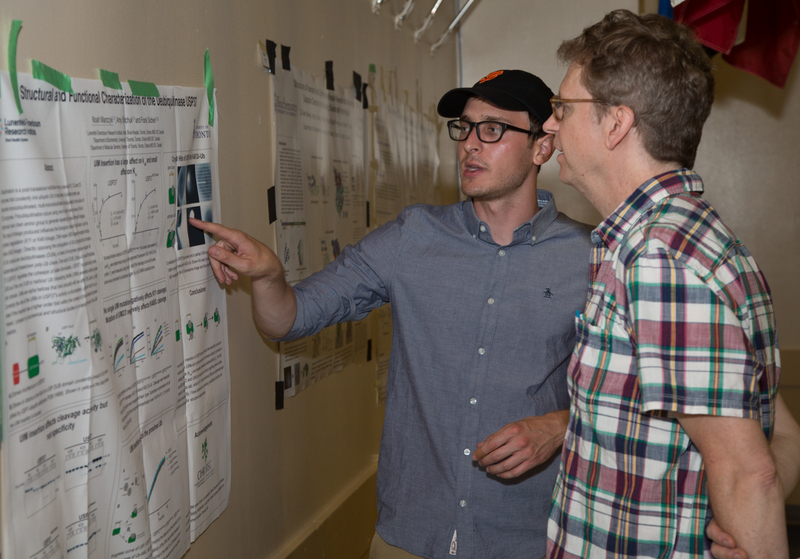 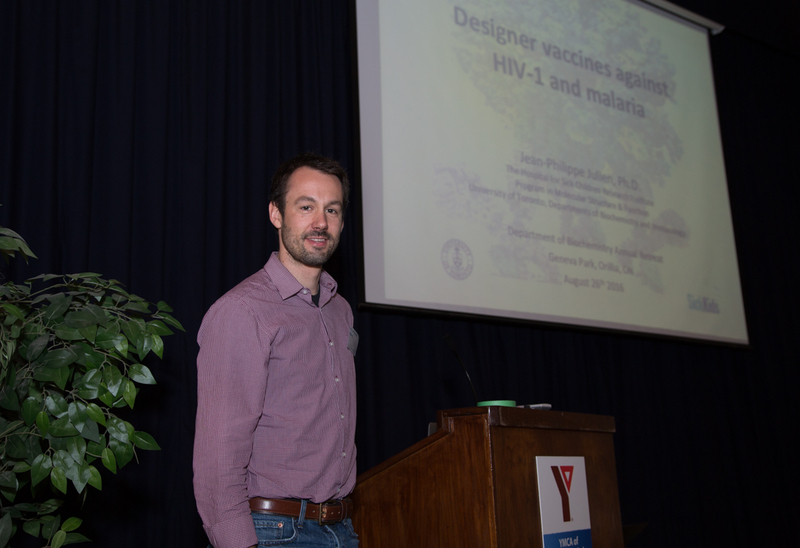 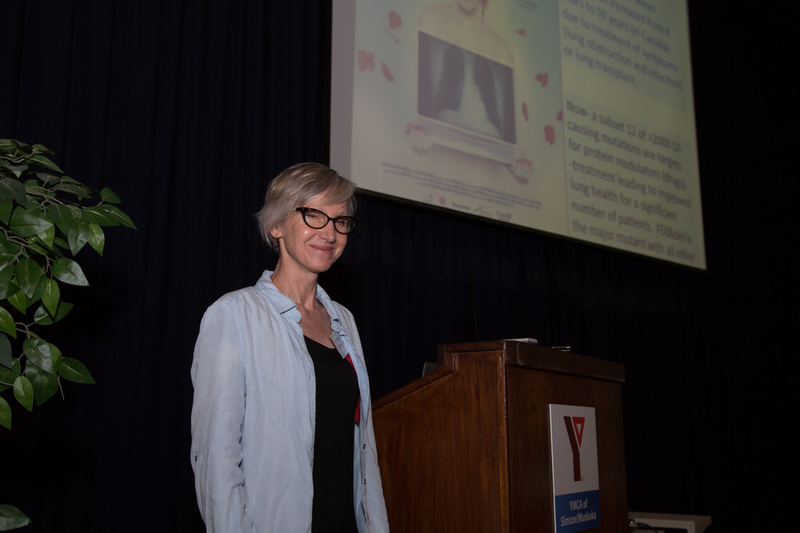 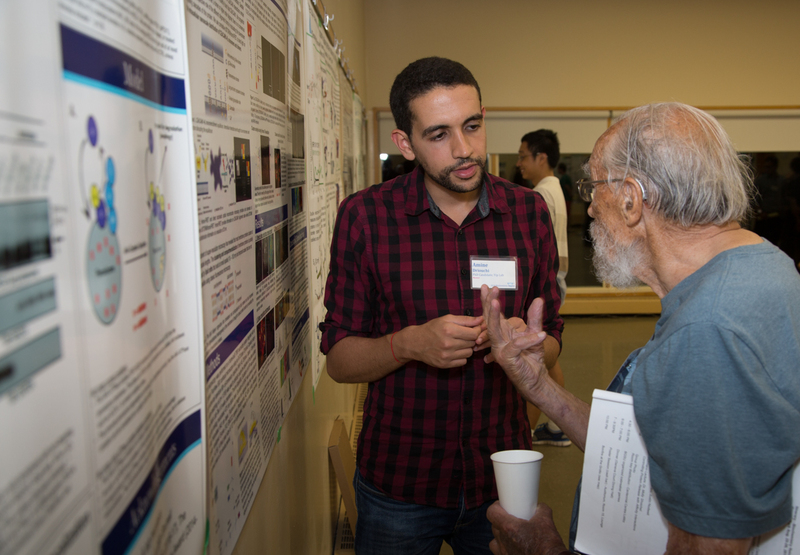 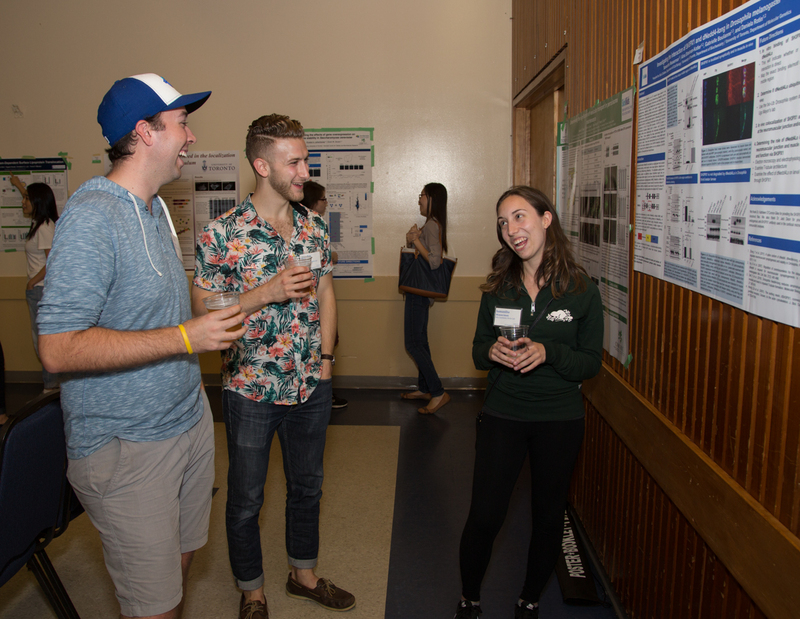 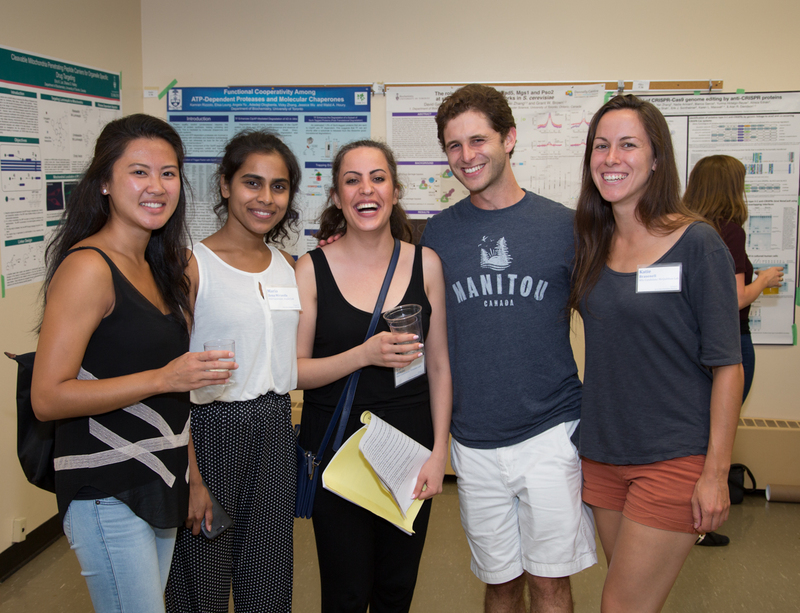 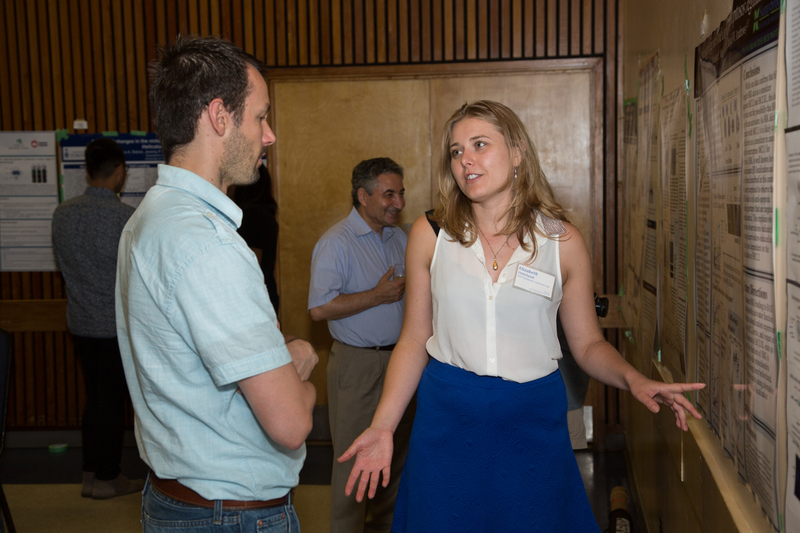 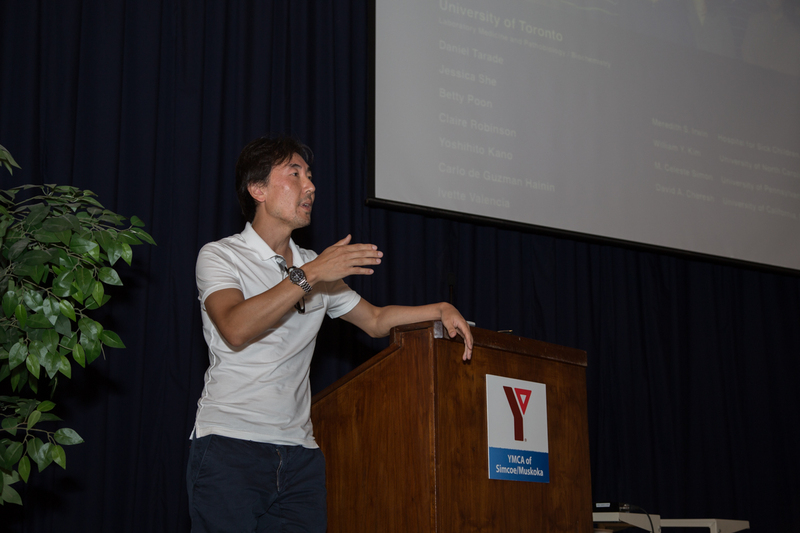 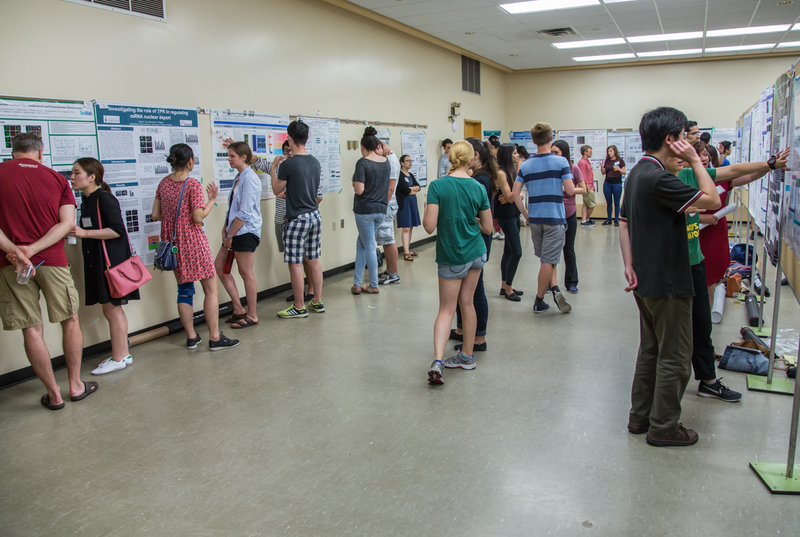 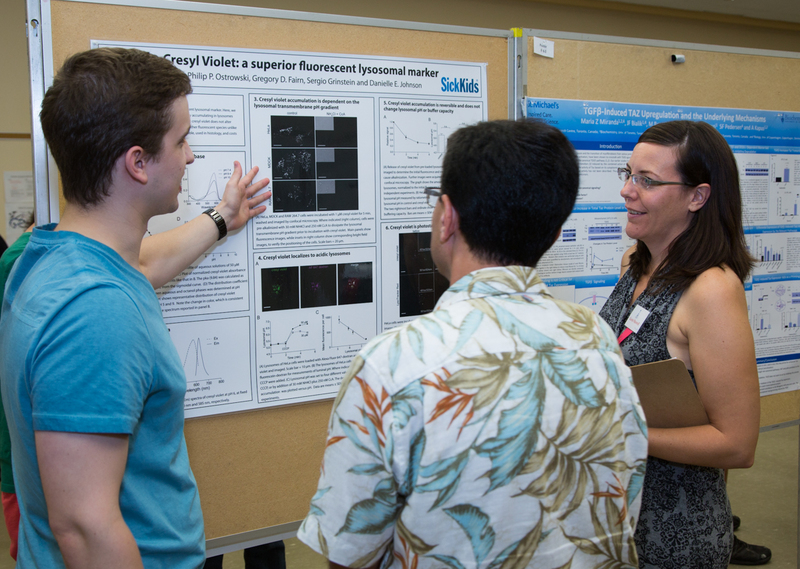 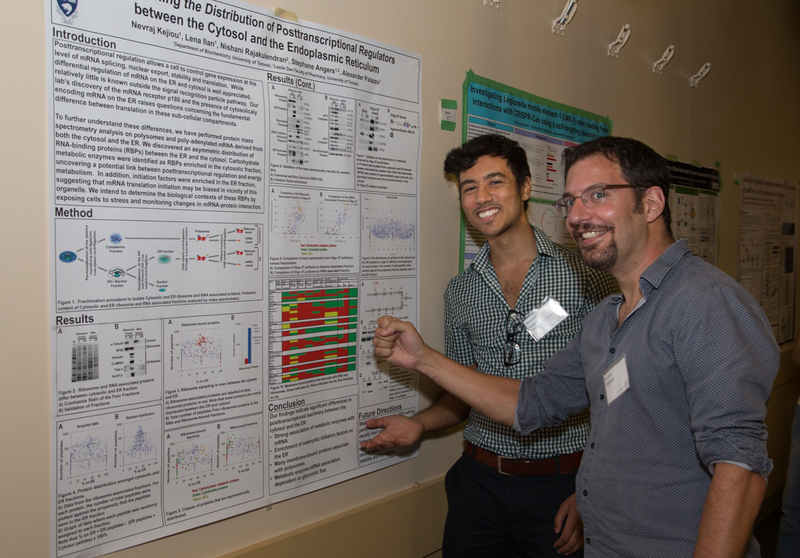 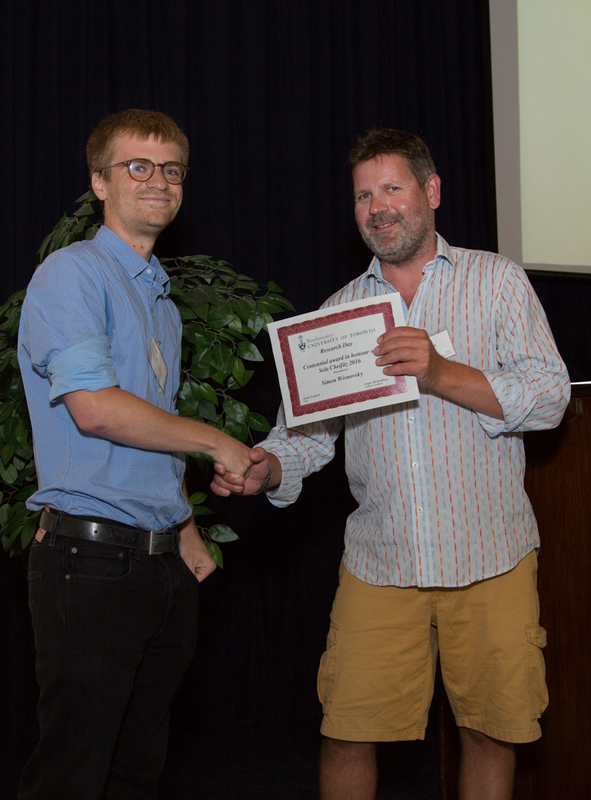 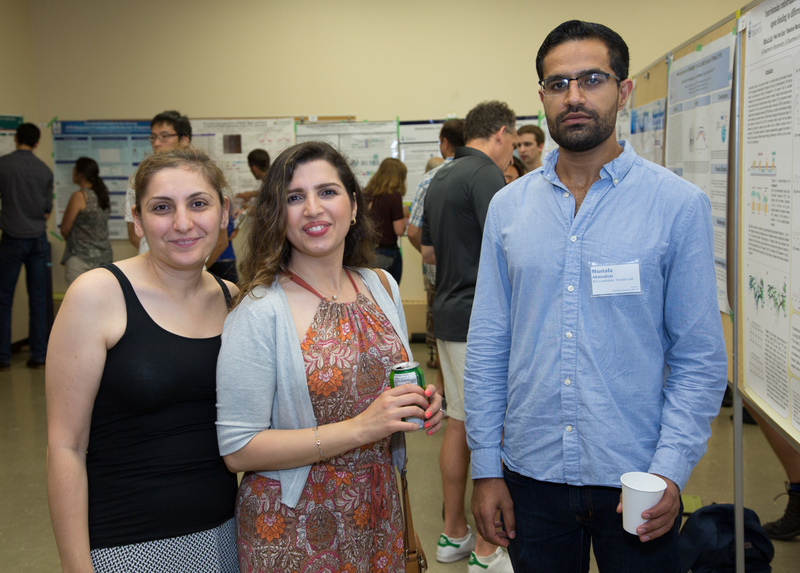 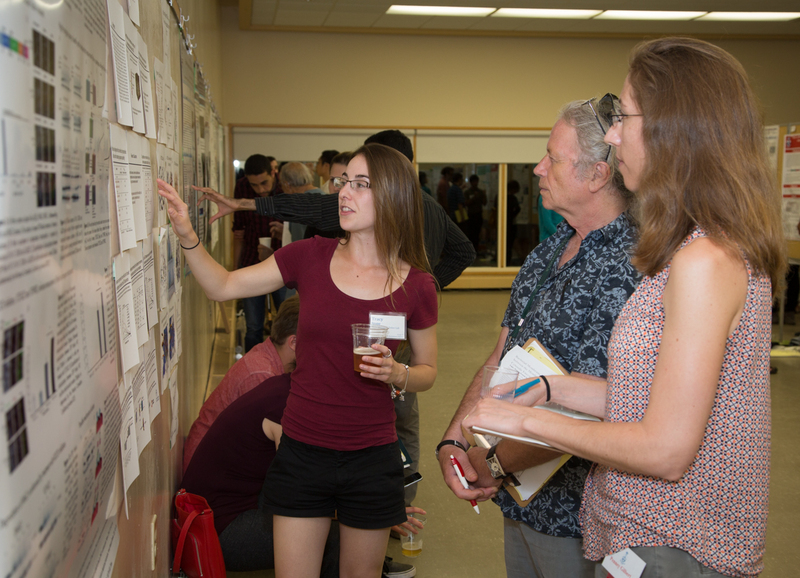 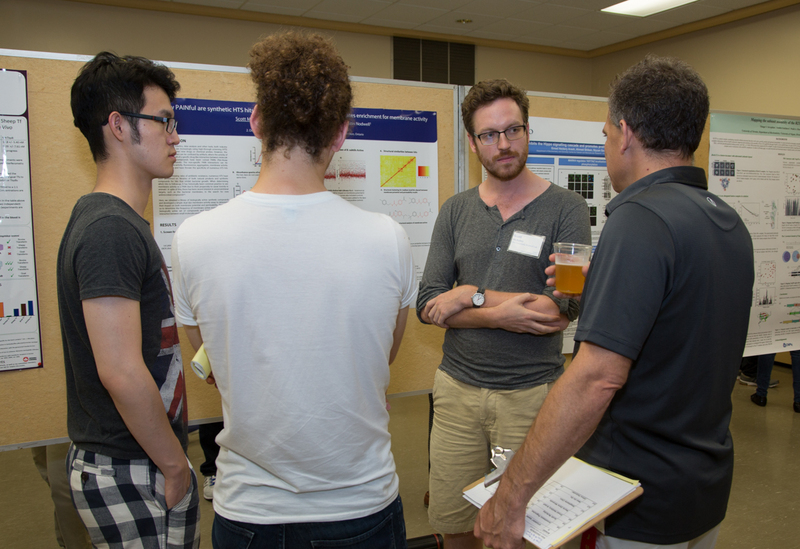 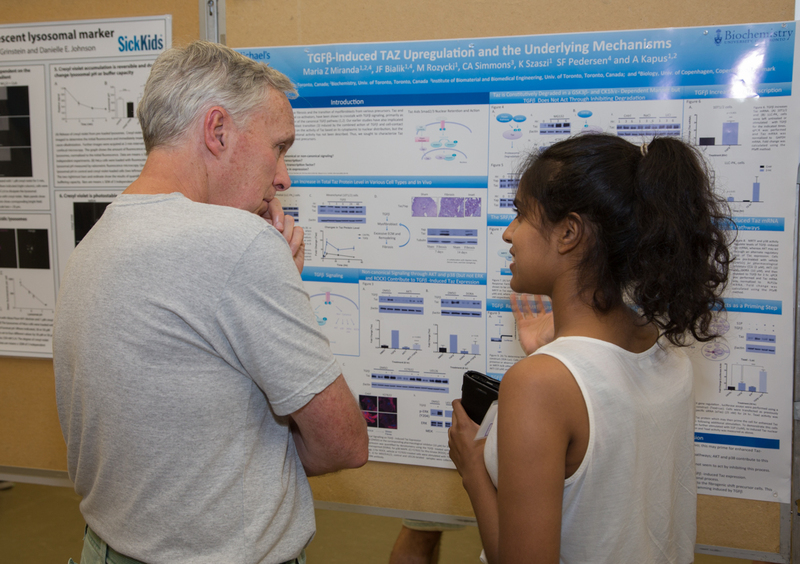 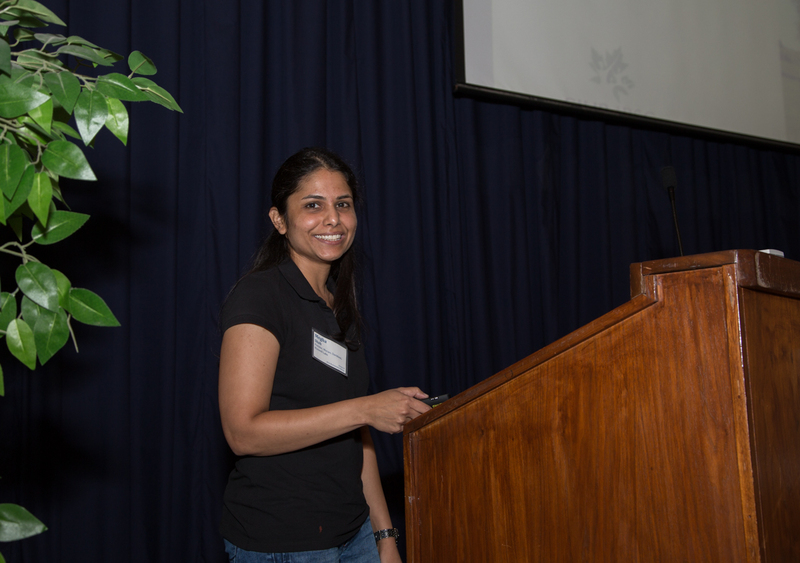 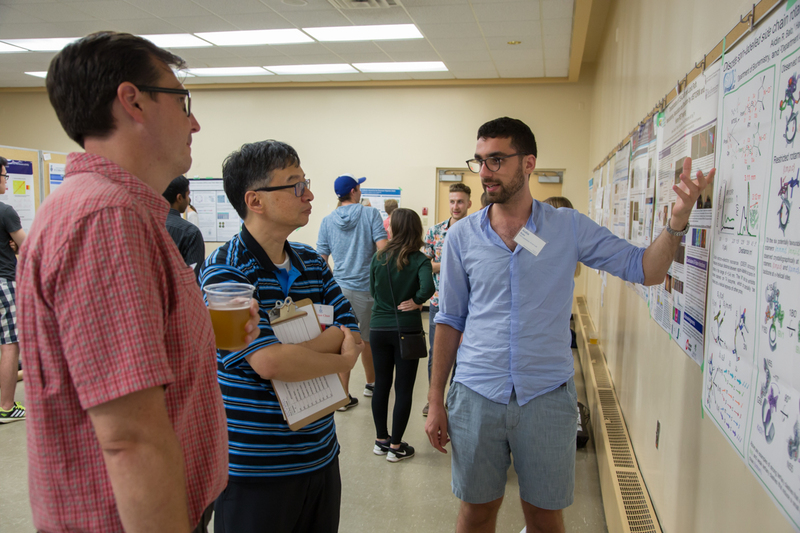 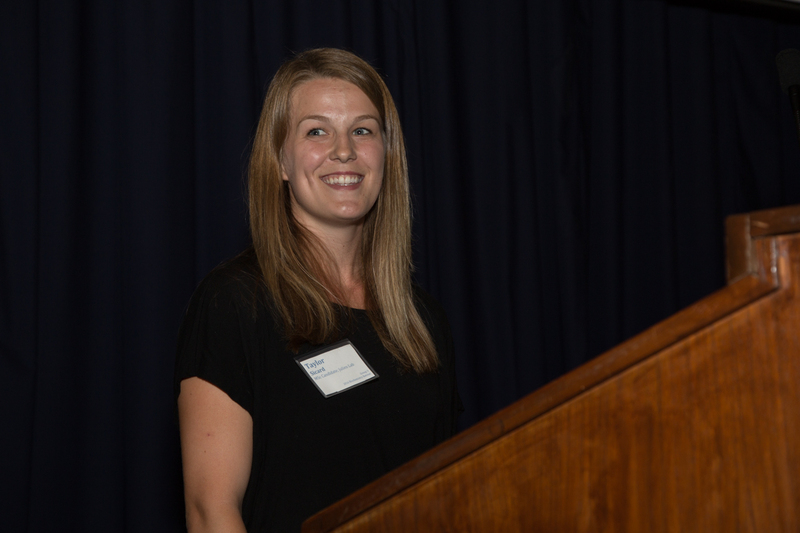 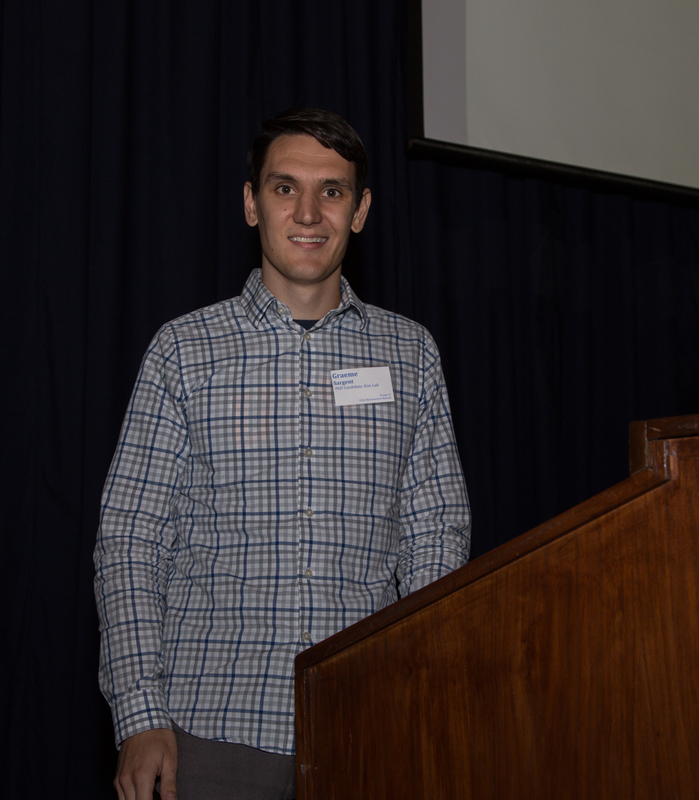 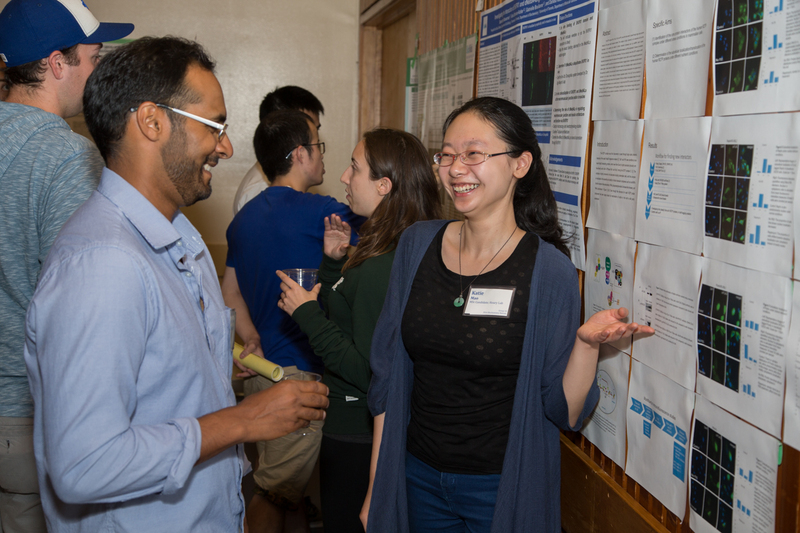 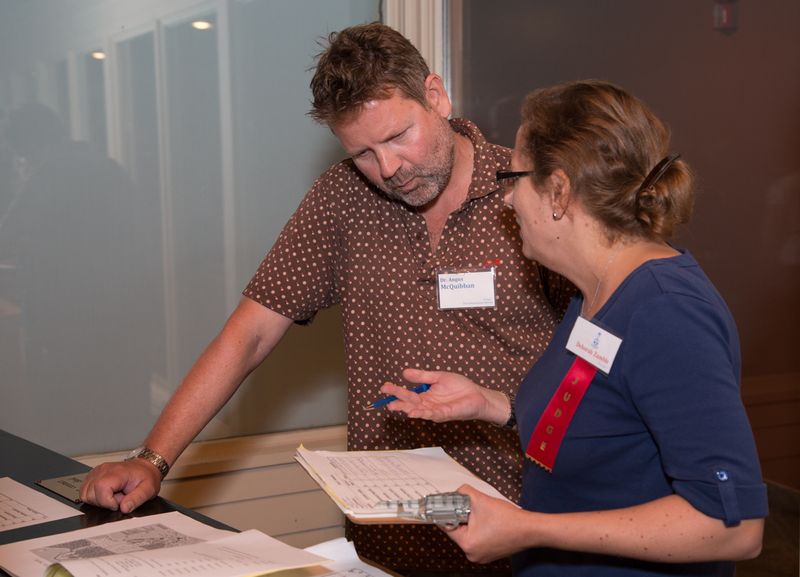 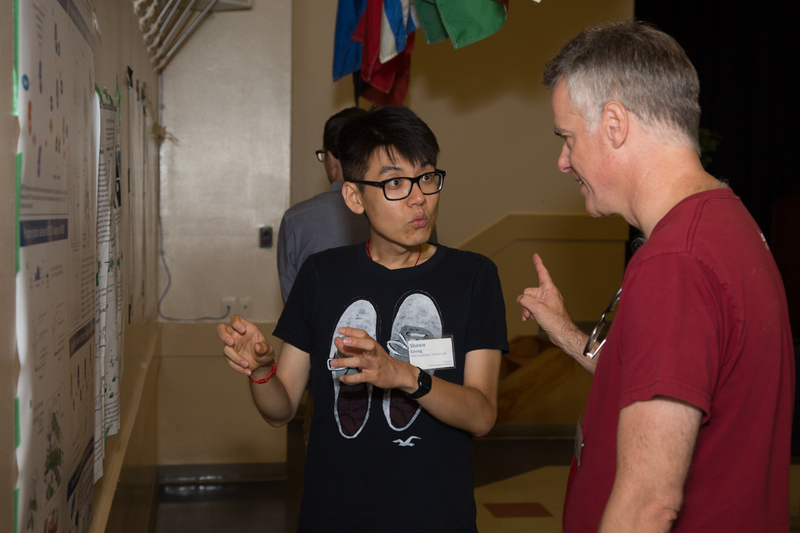 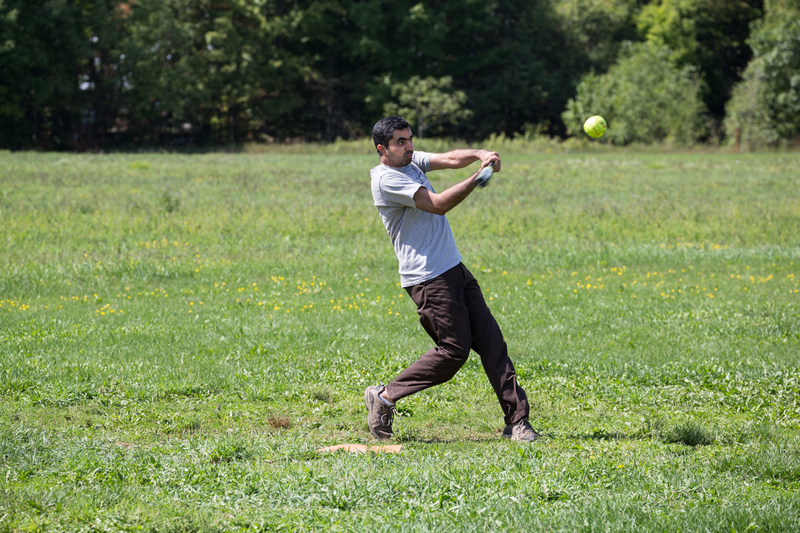 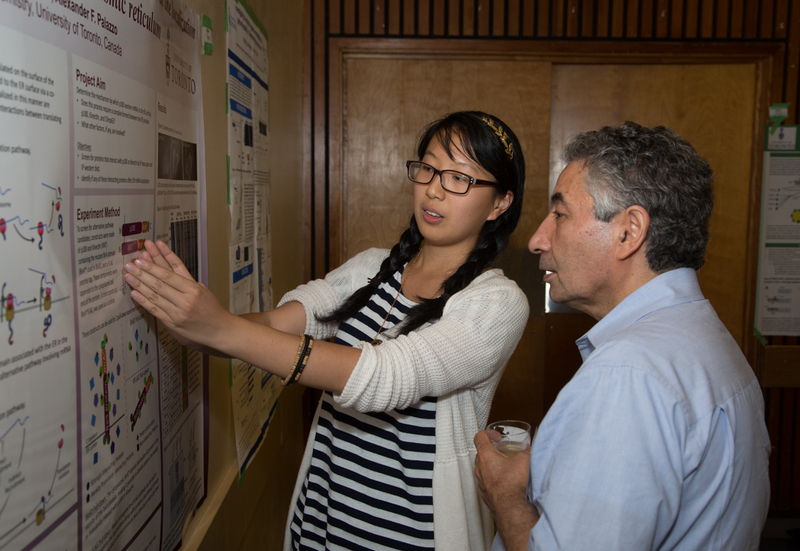 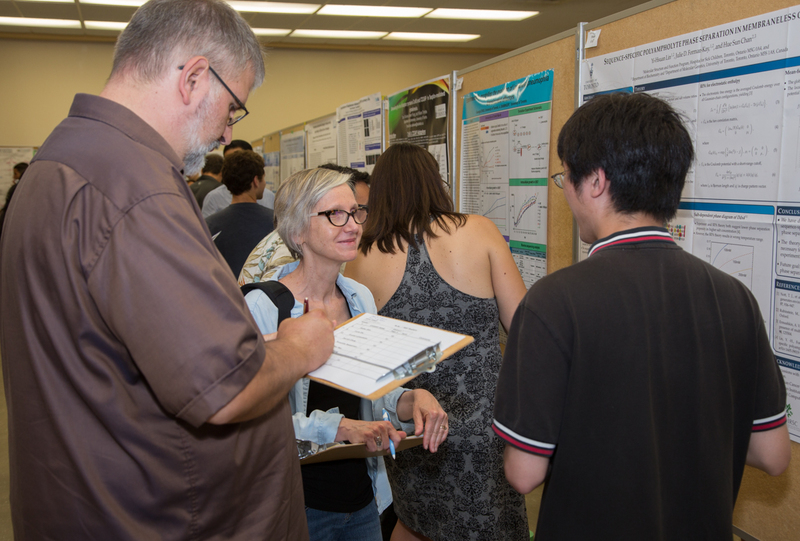 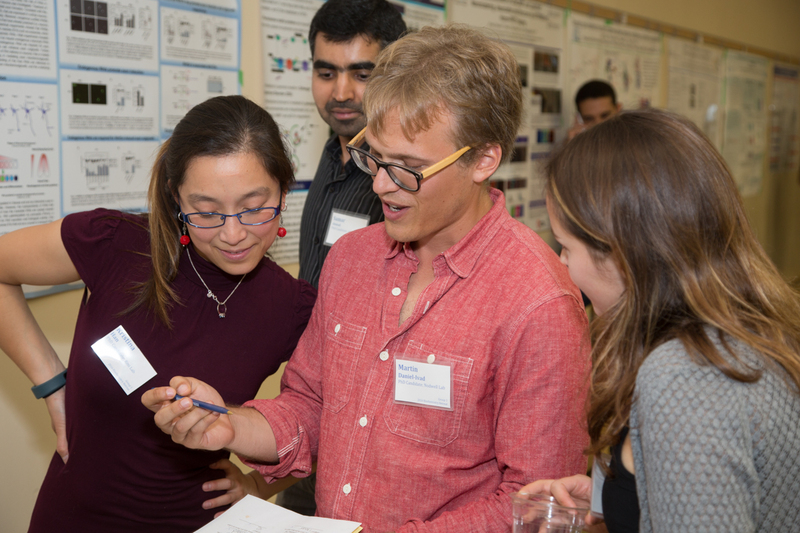 The Retreat featured cutting-edge talks by trainees and Faculty members as well as an evening poster session that showcased the excellent research being carried out by more than 60 students and postdocs. 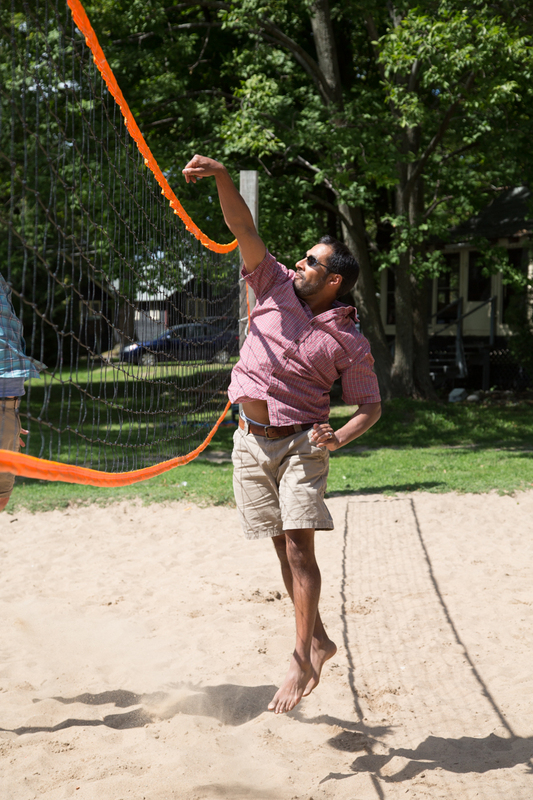 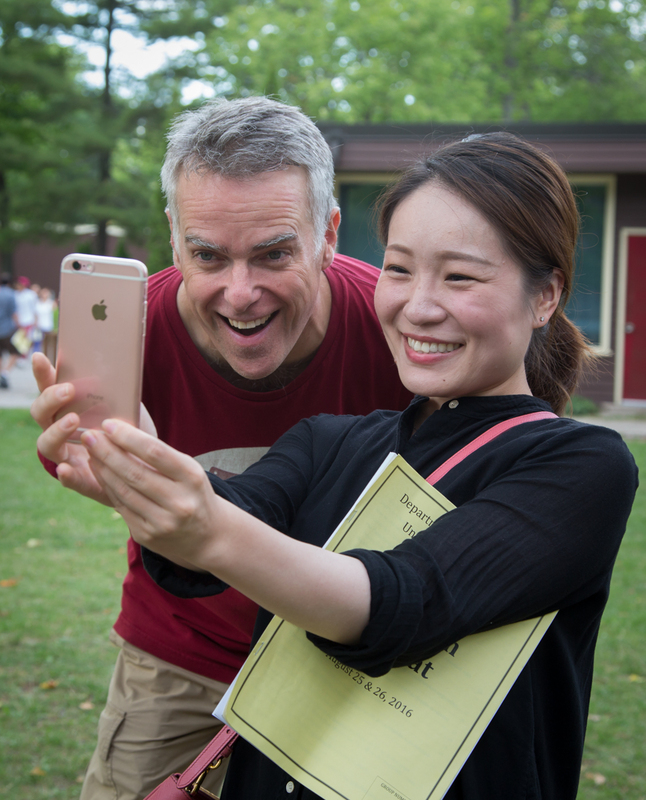 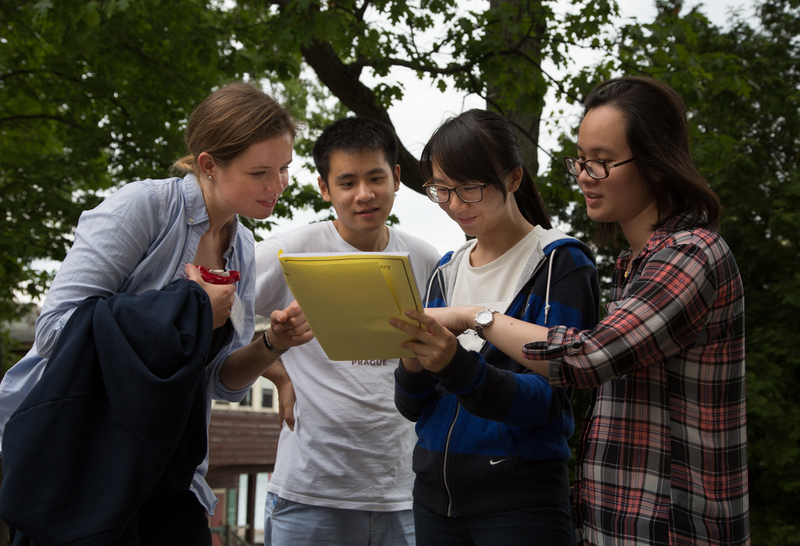 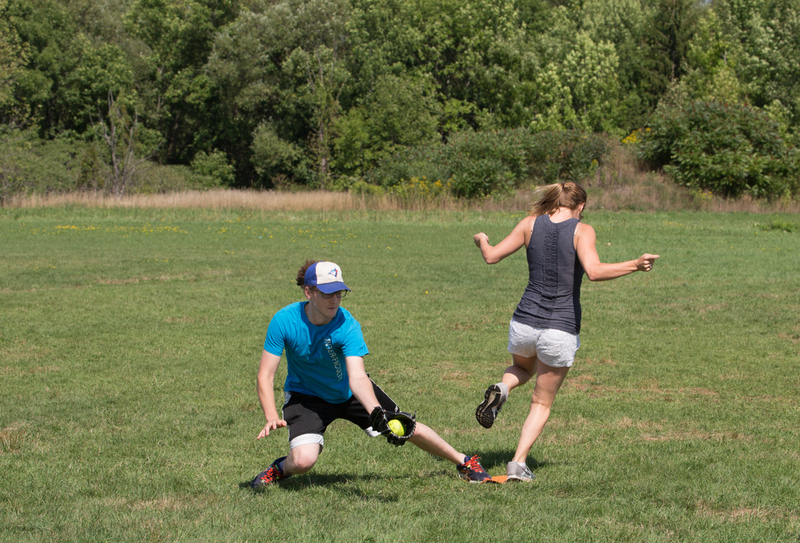 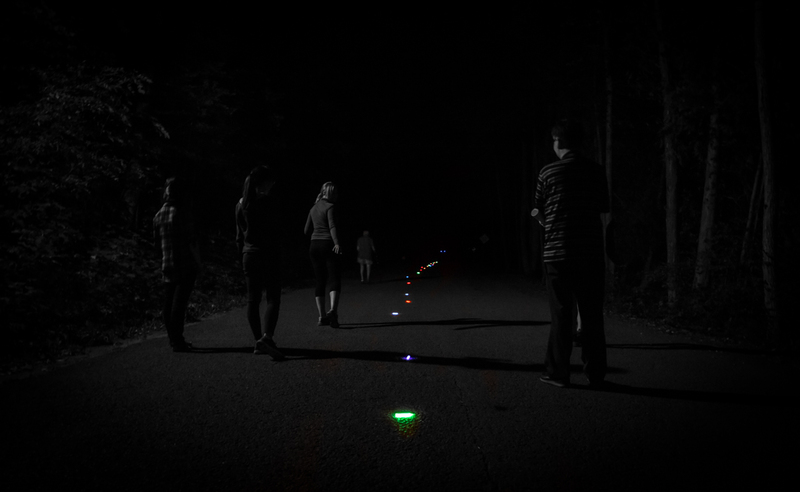 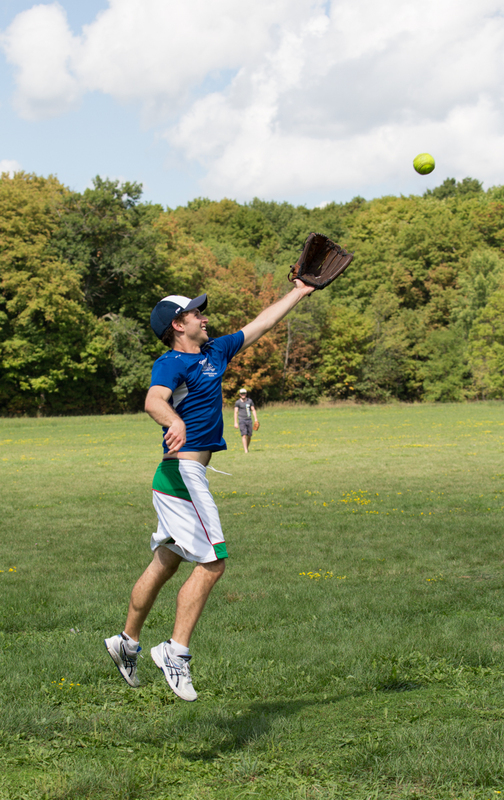 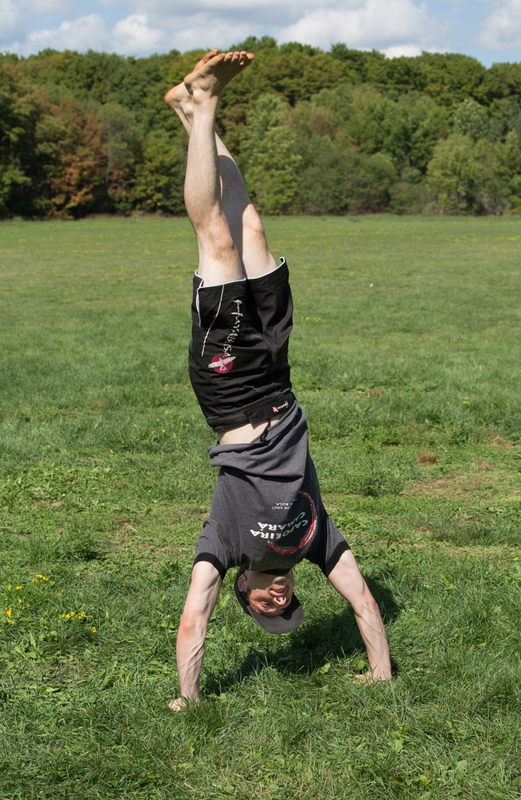 But it wasn’t all about science – the BGSU organized an entertaining (and often hilarious) photo scavenger hunt that had people from different nodes of the Department working together to find arcane items and to create unusual photos and videos. 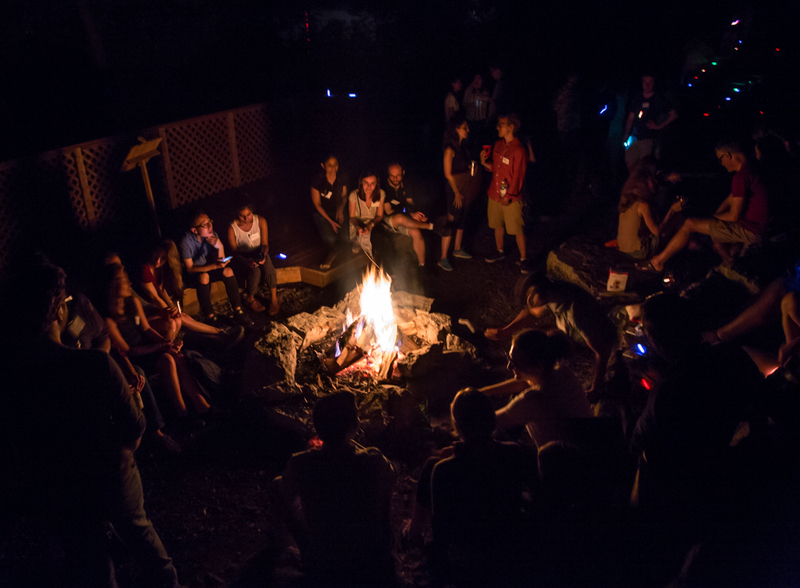 The evening bonfire with songs, glowsticks, s’mores and conversation into the very wee hours was also a big hit. 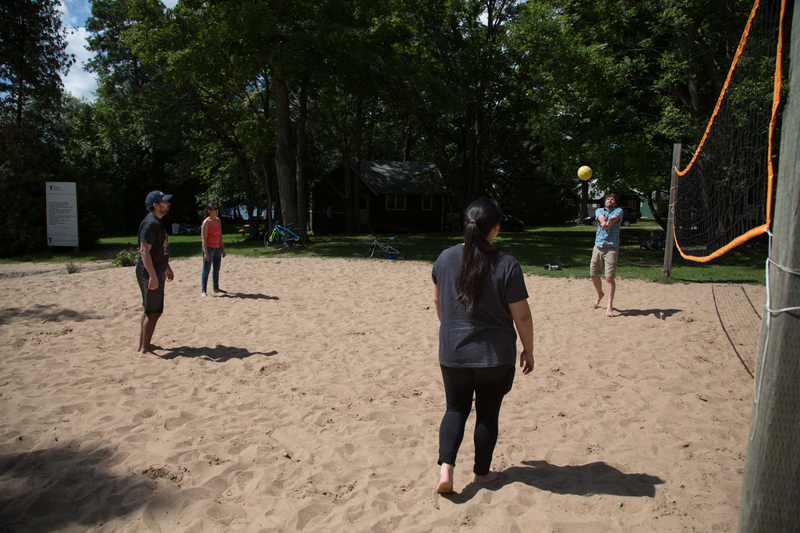 The free afternoon on the second day saw many taking the opportunity to hike, swim, paddle, or play volleyball and baseball. 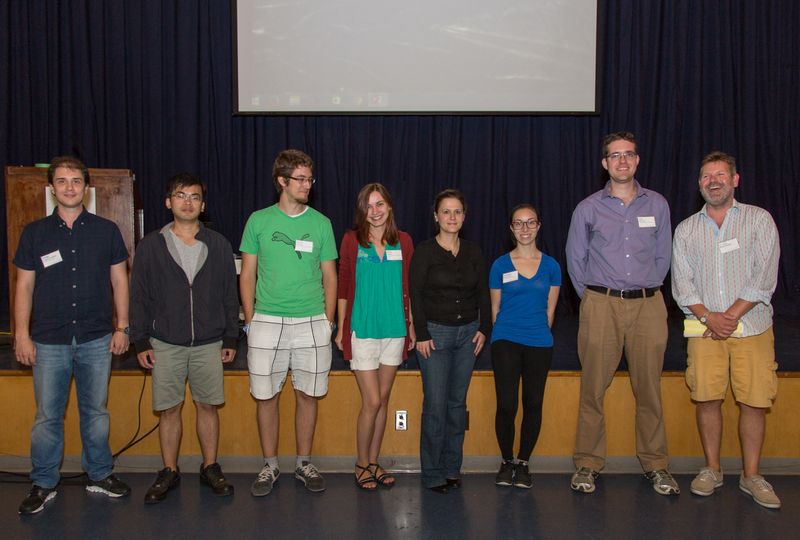 Click here for a hi-res version of the group photo.